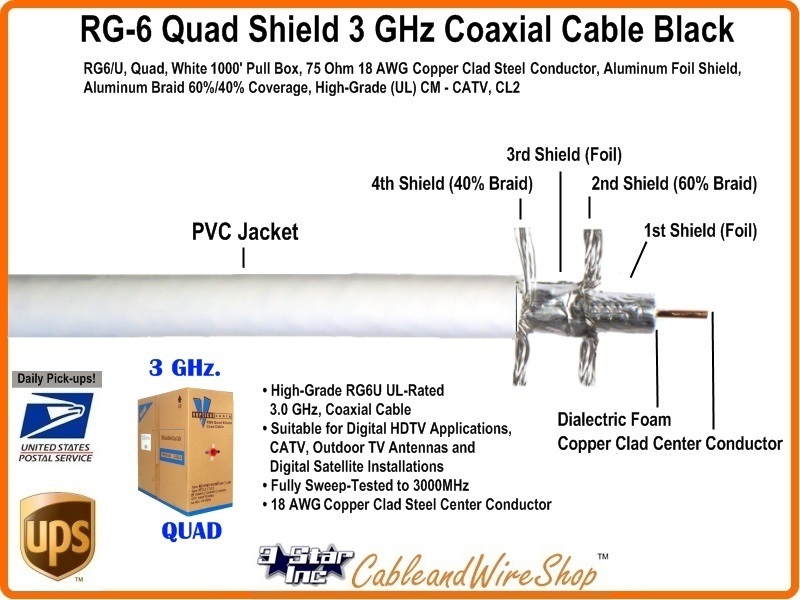 RG6/U, Quad, White 1000' Pull Box, 75 Ohm 18 AWG Copper Clad Steel Center Conductor, Aluminum Foil Shield, Aluminum Braid 60%/40% Coverage, High-Grade (UL) CM - CATV, CL2. High-Grade RG6 UL-Rated Coaxial Cable Suitable for Digital HDTV Applications, CATV, Outdoor TV Antennas and Digital Satellite Installations. UL Listed ETL Rated CM/X/G, CATV, CL2.